Global learning sensation Limmud coming to Bay Area – J.
Mila Wichter admits she was lukewarm initially about going to her first Limmud, but after attending the grassroots Jewish learning conference last year in Los Angeles, she was determined to bring it home to the Bay Area. A friend had persuaded her to try out the volunteer-run conference, but Wichter, who lives in Palo Alto, said she couldn’t get a good sense of it by flipping through the catalogue. “But from the moment I walked into Limmud, I knew it was an incredibly empowering event, and I wanted to have the same feeling with my own community,” she said. Limmud, which means “learning” in Hebrew, originated in the U.K. in 1981 as an alternative to a Jewish educators’ conference. It has since morphed into a global phenomenon of independent Jewish learning in 60 locations around the world, from Siberia to South Africa, Brazil to New Zealand. In North America, Limmuds have been established in almost a dozen places including New York, Boston, Atlanta and Los Angeles. Northern California will join that list in February when the inaugural Limmud takes place in Pacific Grove. Next week, the Bay Area will get a preview of what to expect. “Taste of Limmud,” an afternoon of learning Nov. 6 at the JCC of the East Bay in Oakland, will include sessions on Jewish justice, text study, meditation and film, plus Israeli dancing and a children’s program, all led by local experts volunteering their time, Limmud-style. 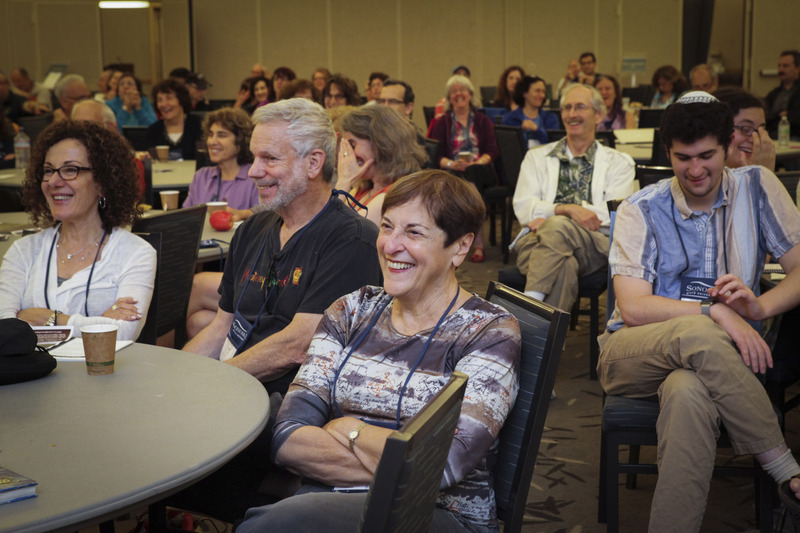 Limmud aims to bring hundreds of Jews of all stripes together to learn from each other about a wide variety of topics and build community in a camp-type environment that encourages extended conversations. (As many as 2,500 went to the 30th Limmud in the U.K. last year.) Attendees choose their own adventure from a range of offerings, including arts workshops, music classes, political talks and cultural events. Pluralism is key: The events don’t favor one way of Jewish life, thinking or belief over any other, and the diversity is striking. You might find yourself at a Limmud debating Talmud or Israeli hip-hop lyrics with a college-age Chabadnik, a Sunday school teacher and an “Orthodyke” activist. 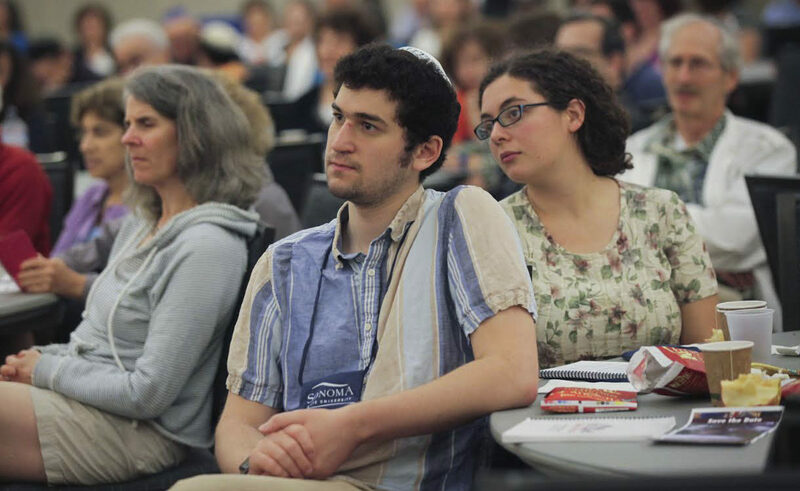 Limmud promotes the idea that every Jew should be a student and any Jew can be a teacher. Oakland-based author Ron Arons has presented his research on Jewish gangsters at Sing Sing prison to Limmud conferences in the U.K., New York and L.A.
“Everyone is a student, even the lecturers. As such, everyone is considered to be equal. Lecturers don’t just come and go to speak at their assigned time slot. They are strongly encouraged to learn themselves and to interact with other participants,” he said. This anti-hierarchical approach and the range of topics offered appeal particularly to Jews in their 20s and 30s, who tend to make up the majority of volunteers. The format also resonates with the culture of the Bay Area, which immediately was apparent to Wichter. 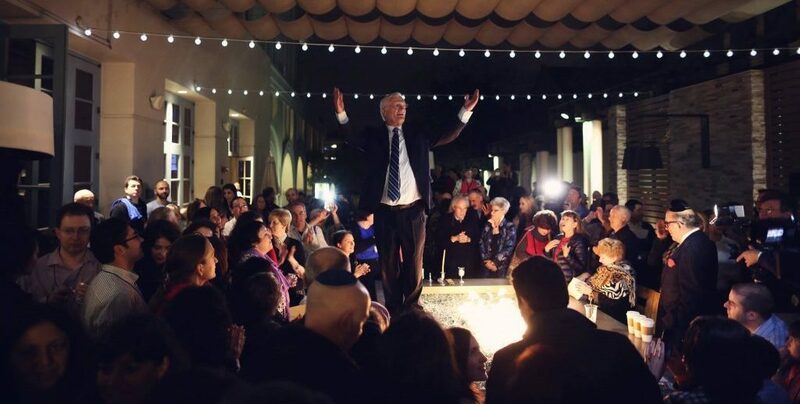 “I couldn’t believe that there wasn’t a Limmud in the Bay Area. So I had to start one,” she said. Wichter, who emigrated from the former Soviet Union, has experience building Jewish institutions: She founded the Contra Costa Jewish Day School and is involved in both the Russian community and the world of Jewish education. By day she is a project manager at Genentech. A friend connected Wichter to Ellen Bob, executive director of Congregation Etz Chayim in Palo Alto and former co-owner of Bob and Bob Fine Jewish Gifts (now closed). Coincidentally, 30 years ago Bob participated as an undergraduate in one of the original Jewish educator conferences that inspired Limmud. “For me, this feels like I have come full circle,” she said. After an initial planning meeting at the Contemporary Jewish Museum in San Francisco last summer, a team of 30 Jewish educators and activists is organizing Limmud Bay Area, which will be held at the Asilomar conference center in Pacific Grove over Presidents Day weekend, Feb. 19 and 20, 2012. As director of programs, Bob is excited to offer varied fare, which so far includes sessions on Sephardic music, green burials and Talmud study, a viewing and discussion of the Israeli TV show “Srugim” and a former State Department official’s update on Iran. Dozens more programs are in development. Bob said organizers would like to distinguish Limmud Bay Area in some significant ways. Most Limmud conferences can be quite pricey for a weekend stay, but Bay Area participants will be asked to pay what they can, with the hope that those who can afford more will subsidize those who can’t. With 400 people already on the local mailing list, Limmud organizers hope to draw several hundred Jews from all nine Bay Area counties. Bob said Limmud participants usually come from very specific Jewish communities in an urban area.